On the other end of that spectrum will probably be Newt Gingrich. He’s a sharp guy, and I think he got a really raw deal in the 1990s, but he’s sort of the wonk’s wonk. He may understand how government works better than all the other Presidential candidates put together, but I will be very surprised if he can explain that to “the average person.” Trump’s appeal was that he voiced the kind of frustrations people had that Washington insiders always talked around, but never really grappled with. He was a plain-talking guy who seemed like he would try to get things done, not finesse the legislation and compromise until the legislation no longer had any teeth. So, as every pundit will be asking, who’s the frontrunner? Huckabee is out, Trump’s out, Gingrich and Romney have some baggage, Ron Paul is…well…Ron Paul. Pawlenty and Daniels? I don’t know. They aren’t proven yet as national campaigners, or as national fundraisers, which is more important. The only two people I’ve seen who really elicit strong emotions in the people are Michele Bachmann and Sarah Palin. 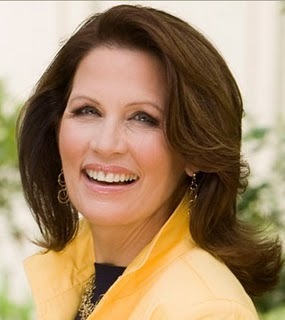 Michele Bachmann only has six years in Congress, but that’s more experience than Obama had. Palin has a very, very visible presence, but for every positive there has been a negative…I hate to say it, but I don’t know if she’s got what it takes to be President. She has the heart to be a great President, but I’ve not seen if she has the ability to juggle the multiple issues that a real President – not like the current occupant – has to. Maybe she does. I’d rather have either one of these women as the candidate rather than a bland, centrist, governor. Our country is in a position where it needs strong leadership, and yes, part of that does involve charisma. None of these other guys, including Gingrich, has much of that. Where is the candidate who will save us? Where is our 21st-Century Reagan? 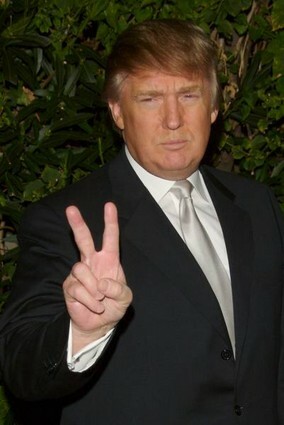 I would agree with you that Newt, Romney and Palin stand no chance. Bachmann is certainly taking the lead in the polls, but to my eye it seems that she focus very strongly on social politics. Nothing is wrong with this, and she and I agree on many things, but I think it may be her downfall. She needs to more actively discuss the importance of fiscal conservatism, particularly at a time like this. I could be totally wrong, just my prediction. The person I would LOVE to see run is Herman Cain of Georgia, though I doubt he would make it far. However, he might do alright if he runs. He has a fiery personality and is a fairly “no nonsense” guy. Have you heard much about him? I’d love to hear your thoughts on him.